Celestial Wish: My First Ever Nail Mail Exchange! My First Ever Nail Mail Exchange! So a few post back, I mentioned that I made a nail mail buddy. She is none other than Narmai from Piggieluv! I received this mail about a week back however, I was just too busy with my studies. 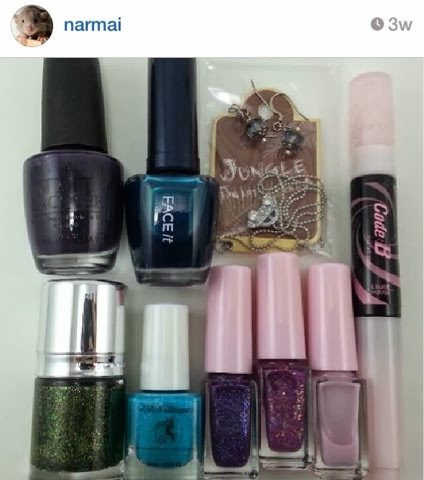 Just look at this epic nail mail I received from her! 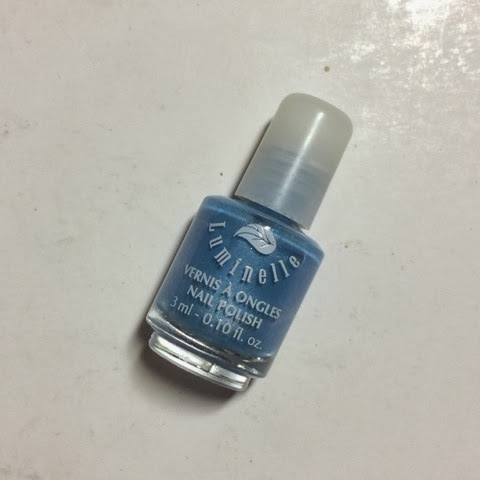 First up, it is the Herome nail polish that she told me she was getting for me. 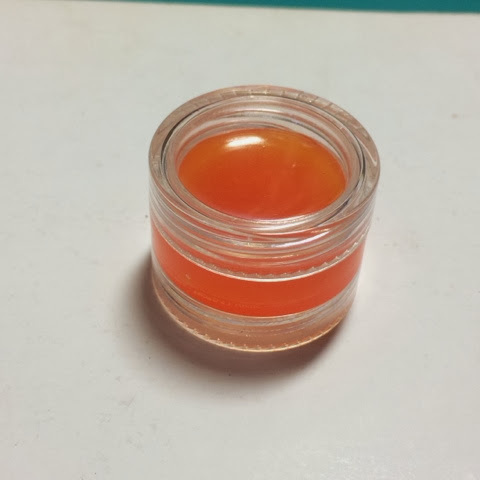 It is called Rio de JanelroIt is a Dutch polish :) It is a lovely shade of orange. My first ever Dutch polish! 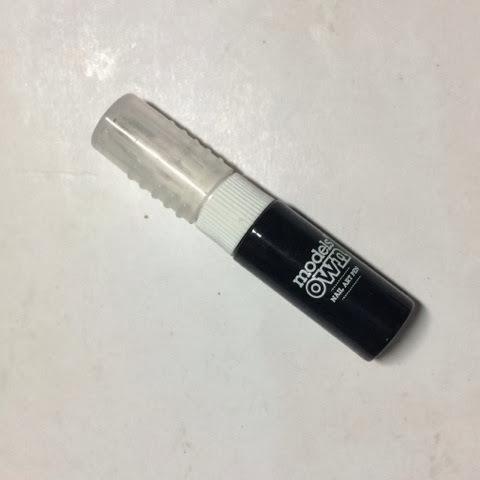 This is a 8ml bottle. 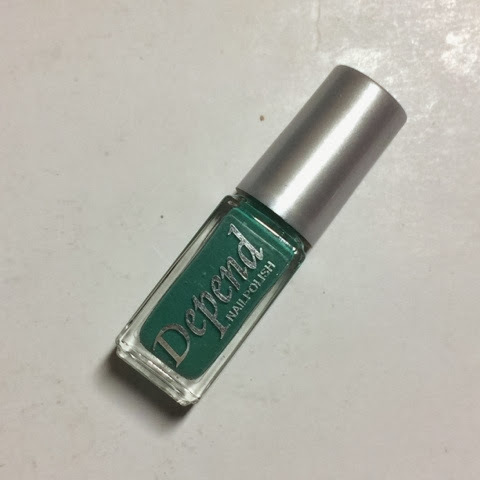 Next, I got a green Depend polish. This is one of the few green polishes that I own. 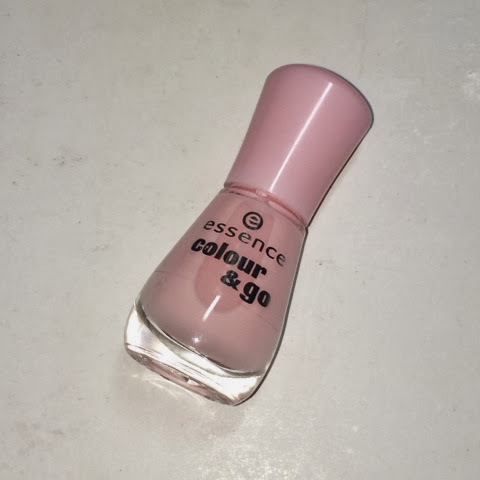 Essence's Sweet As Candy! This is a lovely baby pink. It isnt too bright, nor light. I really adore pink to polish, I guess it's just the little girl in me. Somehow, I think this would be the first color I try on! sky blue polish. It just looks so fascinating! Makes me want to paint that color as base, and attempt some Flappy Bird nail art on my nails! INDIE TIME! That is Berries & Cream by A Girl Obsessed! A lovely crelly polish, with blue pink and black hexes in a slightly pinky white base. Nail art pen by Models Own! My first ever nail art pen. 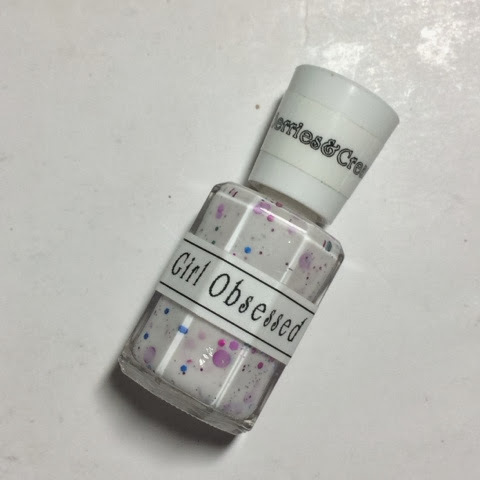 I bought one for her in her nail mail, but didnt thought of getting one for myself. It is so fine! 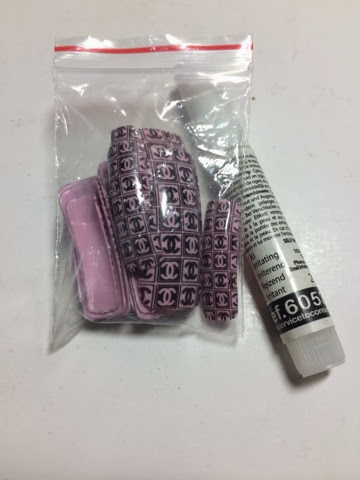 I got a Chanel false nails! This is my first ever experience with false nails! Not sure when I would try them out though. Hope they would be able to fit my small hands! Be a caterpillar and transform into a stunning butterfly! 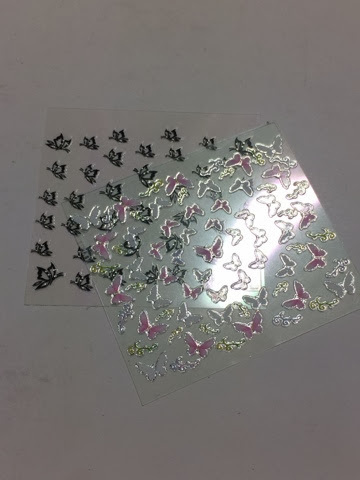 Well, I could just skip that step of being a caterpillar and straight away be a butterfly now that I have these nails stickers! Aren't they just so cute! Glitters are always nice! Well, that is because I am a glitter girl! Love all glitter polishes! Haha! 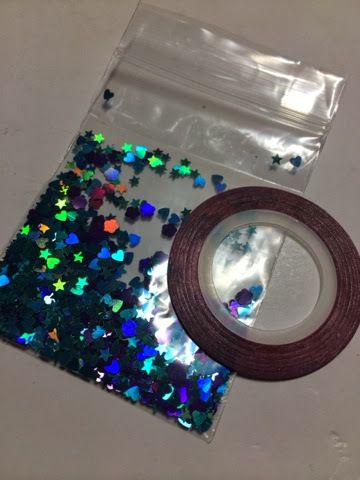 I've got an assorted pack of glitters in blue and purple (Hearts & Stars). Look at the holo in the glitter! ^^ Along with some pink striping tape! You have got to say, this is one epic nail mail right? Yet, I am still not done listing out what awesome goodies she got me! 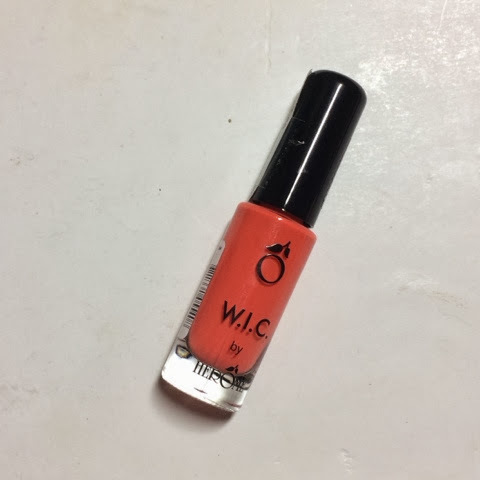 Next up, it is a orange flavoured lip blam! Yum yum, now I can taste orange everywhere I go! Lastly, she did up some accessories for me! Isn't she just the sweetest! Her craftwork is amazing! I love the cute guitar and the dragonfly on my keychain! And just look at that stunning piece of necklace! I can already imagine the amount of time she had to take just to make that piece of necklace. It is a really fine piece of work. If I were the one doing them, you will never be able to see me make a necklace in the end. You would just see all the mess I made with the strings and beads! Take a look at what I got her! This picture was taken from her Instagram! Go over and show her some love! Awww that's so sweet! I'm glad to read that you enjoy everything so much, I was really worried! I LOVE the things you sent me too, you have great taste in polish! 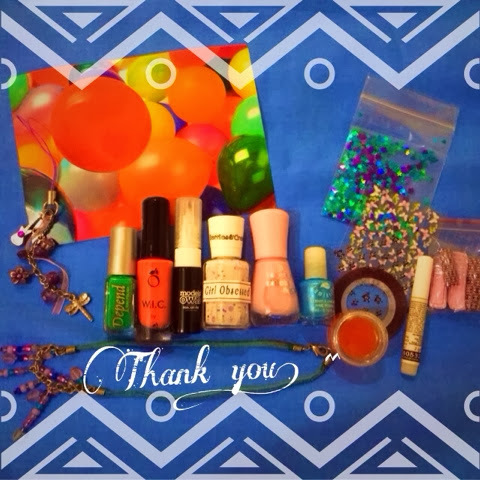 Thank you so much for being my nail mail buddy and my awesome friend!! !